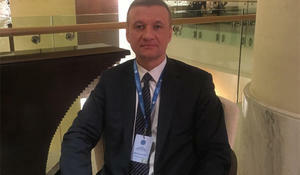 Deputy of the State Duma of the Russian Federation, head of the inter-parliamentary Russia-Azerbaijan friendship group Dmitry Saveliev regards the actions of State Duma deputy Konstantin Zatulin as an attempt to drive a wedge into relations between Moscow and Baku, Trend reports. 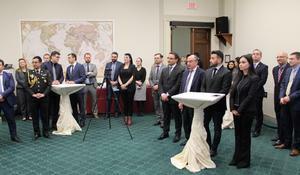 An event dedicated to the 27th anniversary of the Khojaly genocide was held in the US Congress, Trend reports referring to the Azerbaijani embassy in the US on March 1. There is an executive power in Russia, and there is the point of view of individual politicians, and this is normal, spokeswoman of the Russian Foreign Ministry Maria Zakharova said at a press conference, Trend reports Feb. 28. 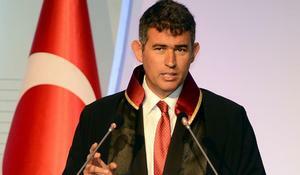 Azerbaijan’s problems are Turkey’s problems, Speaker of the Turkish Parliament Mustafa Sentop said, Trend reports with reference to the Turkish media. 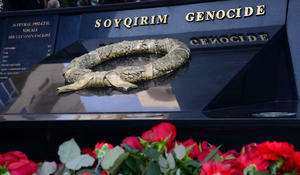 Those who committed the Khojaly genocide ruled Armenia for years, Azerbaijani President’s Assistant for Public and Political Affairs, Professor Ali Hasanov said in an interview with Turkey's Anadolu Agency on the 27th anniversary of the Khojaly genocide, Trend reports. 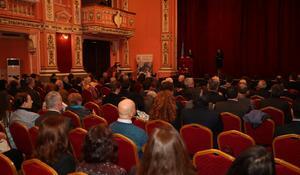 Rauf Aliyev, Azerbaijani MP and head of the Azerbaijan-Bulgaria Interparliamentary Friendship Group, took part in a commemoration ceremony dedicated to the 27th anniversary of the Khojaly genocide, Trend reports. 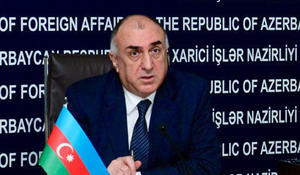 Azerbaijan, with a population of almost 10 million people, is a country with the largest number of IDPs and refugees per capita, Azerbaijani Foreign Minister Elmar Mammadyarov said at the 40th Session of the UN Human Rights Council, Trend reports referring to the Foreign Ministry of Azerbaijan. Statement by the Armenian defense minister on the acquisition of weapons on the day when his country carried out the genocide of the peaceful population of Azerbaijan’s Khojaly town 27 years ago, serves as an obvious indicator of clearly aggressive policy, Trend reports with reference to the statement by the press service of Azerbaijan’s Foreign Ministry. 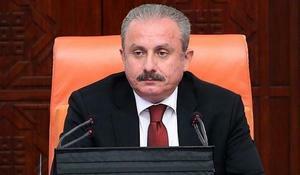 A genocide was committed in Khojaly against the civilian population of Azerbaijan, Chairman of the Union of Turkish Bar Associations Metin Feyzioglu said, Trend reports via the Turkish media. 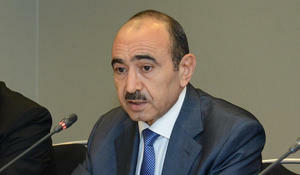 Agencia Uruguaya de Noticias, one of the leading news websites in Uruguay, published an article by Emin Ibrahimov, Azerbaijan's charge d'affaires in Uruguay, entitled "Khojaly genocide - a call for justice and peace", Trend reports referring to the Azerbaijani Foreign Ministry.